The Democratic People's Republic of Korea (DPRK) announced successful underwater test-fire of strategic submarine ballistic missile and the top leader Kim Jong Un guided the test, the official KCNA news agency reported Sunday. The test-fire aimed to "confirm the stability of the underwater ballistic launching system in the maximum depth of waters, flying kinetic feature under the vertical flight system of the ballistic missile powered by the newly developed high-power solid fuel engine, the reliability of the phased heat separation and the working accuracy of nuclear detonating device of the warhead." 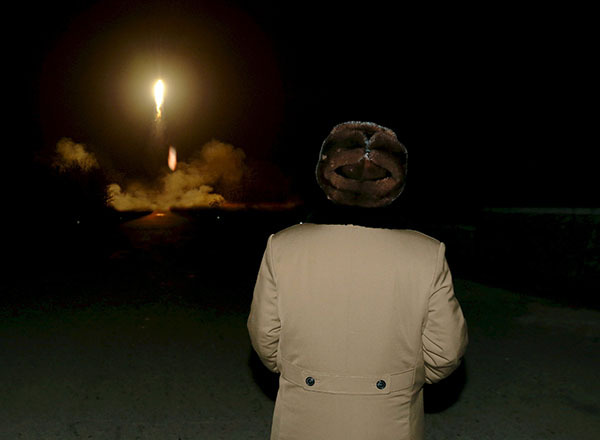 The state media said the test-fire proved "an eye-opening success" and that Kim was satisfied with the result. The DPRK-style submarine-launched ballistic missile technology met all technical requirements for carrying out an underwater attack operation, it said.